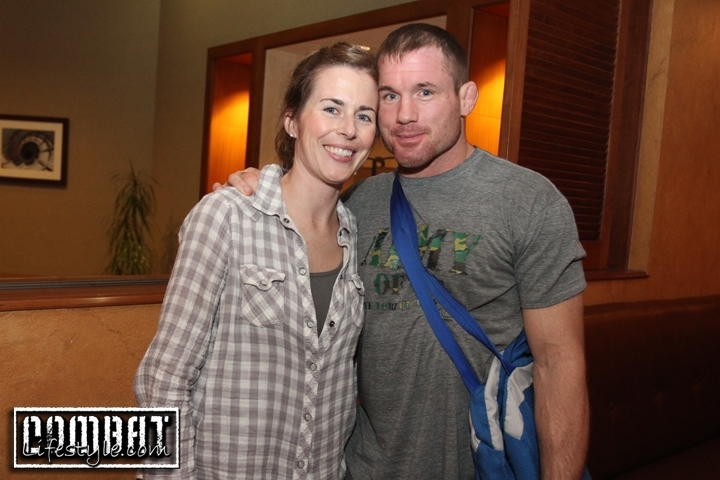 UFC Hall of fame’s Matt Hughes has been ordered by a judge to stay 500-feet away from his wife. Court documents that were somehow acquired by TMZ detail a disturbing pattern of sadistic violence and abuse dating back to 2017. In 2017, Hughes was struck by a train that left him in a coma with severe brain damage. But in September or October 2017, Audra Hughes claims that the abusive behavior returned when he roughed her up in the shower. “Since my train accident in June of 2017, my life has been changed forever. Some days have been absolute hell. The challenges and battles that I have faced have been far greater than anything I ever took on in a cage. I am not the same person since my accident, even though, everyday I continue to try to be as normal as someone with a brain injury can be. I understand that it is not fun to teach a grown man to learn to do everything all over again. I understand that I am a burden to those around me. I understand that I am an inconvenience to my family. Unfortunately, my marriage was not perfect long before the accident, but NEVER, NEVER, NEVER would I, or have I, physically hurt those who I care about most. I do not resent those who are trying to hurt me and paint me out to be a monster through these false accusations. I understand now that they are just doing what they need to do in order to rid me of their lives forever so theirs can return to normalcy. I feel awful that my accident turned their world upside-down also. To those of you who have helped me, supported me, cared for me, and prayed for me- I truly cannot thank you enough. To my supporters who defended me and never believed these untrue, disgraceful reports for a second- thank you. Since my train accident in June of 2017, my life has been changed forever. Some days have been absolute hell. The challenges and battles that I have faced have been far greater than anything I ever took on in a cage. I am not the same person since my accident, even though, everyday I continue to try to be as normal as someone with a brain injury can be. I understand that it is not fun to teach a grown man to learn to do everything all over again. I understand that I am a burden to those around me. I understand that I am an inconvenience to my family. Unfortunately, my marriage was not perfect long before the accident, but NEVER, NEVER, NEVER would I, or have I, physically hurt those who I care about most. I do not resent those who are trying to hurt me and paint me out to be a monster through these false accusations. I understand now that they are just doing what they need to do in order to rid me of their lives forever so theirs can return to normalcy. I feel awful that my accident turned their world upside-down also. To those of you who have helped me, supported me, cared for me, and prayed for me- I truly cannot thank you enough. To my supporters who defended me and never believed these untrue, disgraceful reports for a second- thank you. If there is one silver lining that this accident has revealed, it is the ability to see who my true friends are. To know who are faithful and have never given up on me even when I am at my lowest. Thank you. Thank you from the bottom of my heart. I do not know where I would be without you. Please keep the prayers coming. God knows I need them. She alleges Matt then snapped … choked her — and asked her for the code to his gun vault. Audra also says just a few months later, on Dec. 12, 2018 … Matt hit her in front of her son, their daughter and her step-dad after she accused him of texting other women. Audra filed for a restraining order the following day … and a judge has since ordered the fighter to stay at least 500-feet away from Audra and their children. 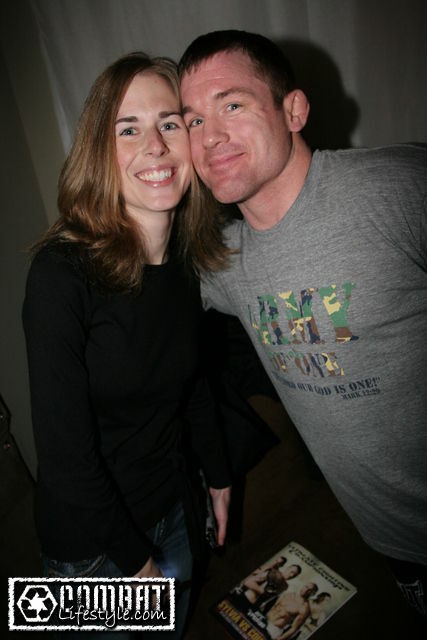 There’s more … Matt’s twin brother, Mark Hughes — a retired MMA fighter who competed at UFC 28 in 2000 — has also filed for a restraining order against the 45-year-old, alleging Matt roughed up his son and tried to destroy his tractor. Mark says the two had a disagreement over which brother actually OWNS the tractor … and when Matt saw Mark’s 15-year-old son driving it sometime later on Sept. 23, 2018 — he lost it on the kid. Mark also says a week later on Sept. 30, 2018 … he believes Matt doused the tractor and its surrounding area in gasoline — and suspects he was trying to destroy it. Mark filed for a restraining order the next day … which a judge granted — ordering Matt to stay away from his brother and his family. Matt was a 2x UFC Welterweight Champion and piled up a career 45-9 record with victories over legends including Georges St-Pierre, BJ Penn and Matt Serra. He was recently recognized as a guest of honor on January 14, 2018, at UFC Fight Night in St. Louis. We reached out to Matt’s rep for comment … so far, no word back.